Speakers - Bang & Olufsen shop Barcelona. 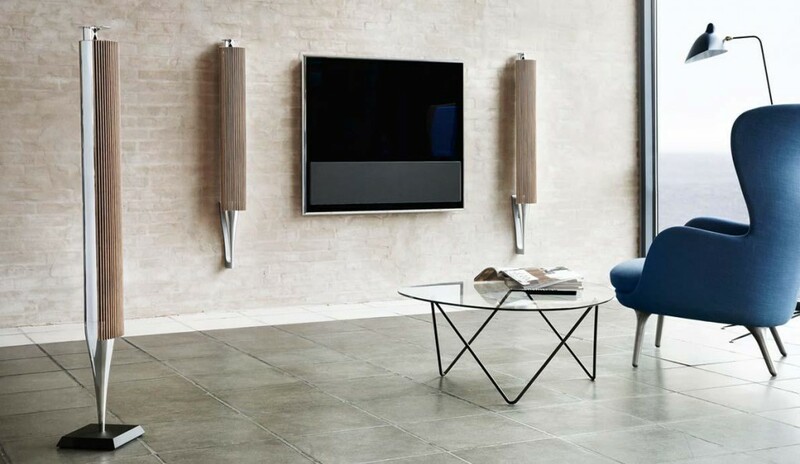 Bang & Olufsen speakers Barcelona, selling high-end audiovisual equipment. 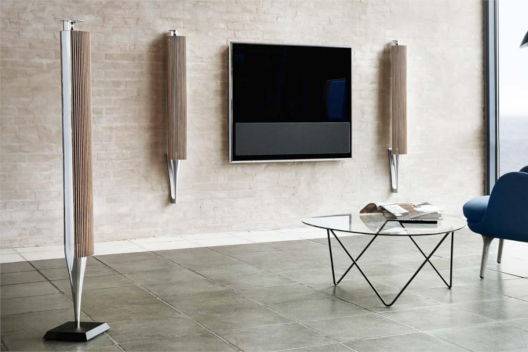 Exclusive Bang & Olufsen shop for TVs, speakers, Beosound and Beoplay sound systems. 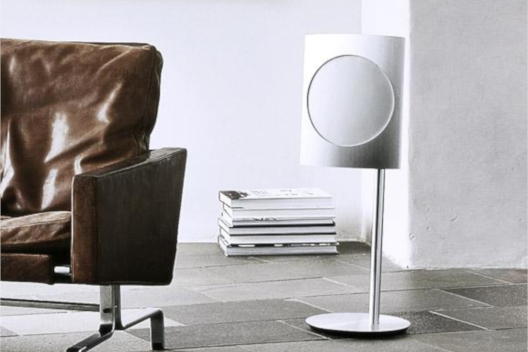 Since 1925, Bang & Olufsen has been synonymous with the art of acoustic perfection. To this day, its specialized engineers continue to calibrate and tune each speaker model by hand. Sound as philosophy. Technology is the protagonist in the BeoLab 90. The perfect combination between design and great acoustics. 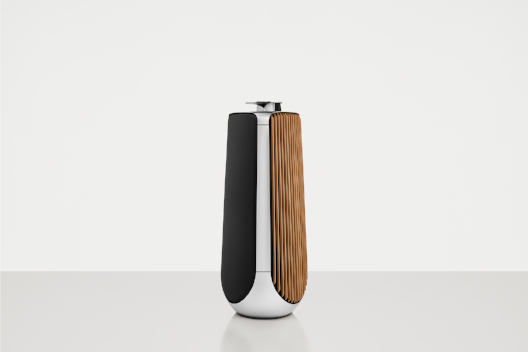 That is way BeoLab 90 is the most complete and powerful digital speaker ever created for the home. This intelligent speaker offers clarity, reach and a staging of absolutely insurmountable sound. BeoLab 90 presents a spectacular 360 degrees design, it has a variety of settings and it emits an amazing. Beautiful on the outside and powerful on the inside. For sound´s enthusiasts. From the magical moment in which the acoustic lens rises majestically, showing itself discreetly in front of the audience, you will know that the stage is prepared for an extraordinary performance. BeoLab 50 is our best speaker. It combines innovative audio technology, elegant aesthetics and meticulous craftsmanship. A design for all those moments where you can enjoy your home: listening to music from an optimal position, unforgettable parties at home and excellent cinematographic experiences. Elegance and advanced technology. Active speaker and excellent digital acoustic motor. 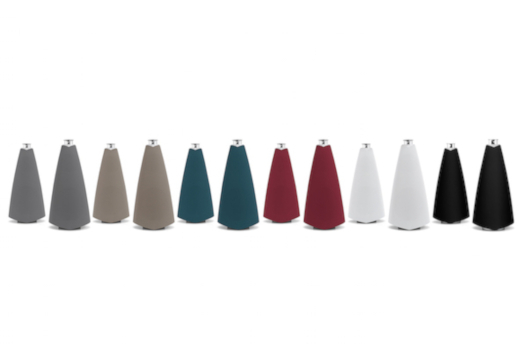 The speaker´s conical shape preserves all shades and the Immaculate Wireless Sound technology. It offers a crystal clear and wireless sound that gives you total freedom to place your BeoLab 20 where you want. The Bang & Olufsen logo is visible on the aluminum and functions as a status indicator when BeoLab 20 is on. 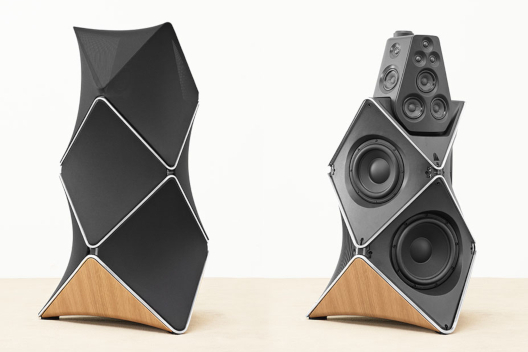 BeoLab 19 is a subwoofer made up of amazing geometric angles that change appearance and nuances according to the angle of view. Its shape, the docahedron, is a three-dimensional shape with twelve flat faces. The dodecahedron is the fifth platonic solid. Geometers have been studying the beauty and mathematical symmetry of Platonic solids for thousands of years. They take the name of Plato, philosopher of Ancient Greece, who affirmed that the dodecahedron was the polyhedron used by the gods to weave the constellations of heaven. Emblematic design and spectacular sound. 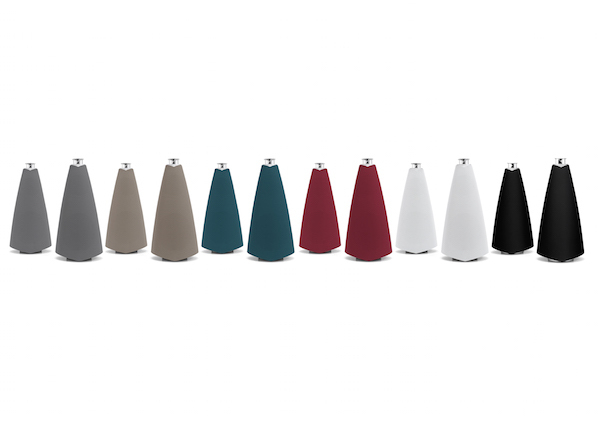 BeoLab 18 loudspeakers constitute an exclusive shape´s combination, craftsmanship and performance. Exquisite materials, an unwavering attention to detail and the inspiration of the legendary BeoLab 8000 speaker are the hallmarks of a product with a classic silhouette, new performance´s levels and Immaculate Wireless Sound technology. A BeoLab 18 configuration requires only one power cord connected to each speaker, which it gives you incredible flexibility to enjoy multi-channel wireless sound throughout your room. An elegant wireless speaker with a surprising power. 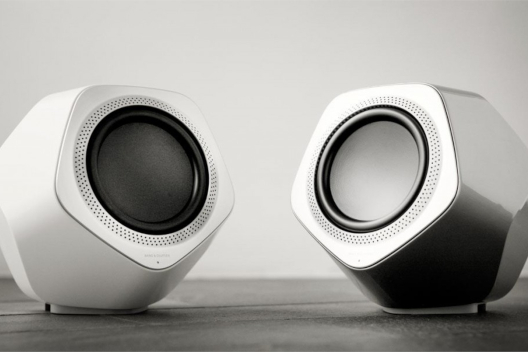 BeoLab 17 is an imposing and robust speaker with a powerful sound that is projected beyond its actual size. Its strong and firm geometry exudes character with innumerable expressions. BeoLab 17 incorporates Immaculate Wireless Sound and offers wireless music with an insurmountable level of detail, as well as freedom and flexibility to have new and attractive options to decorate your home. 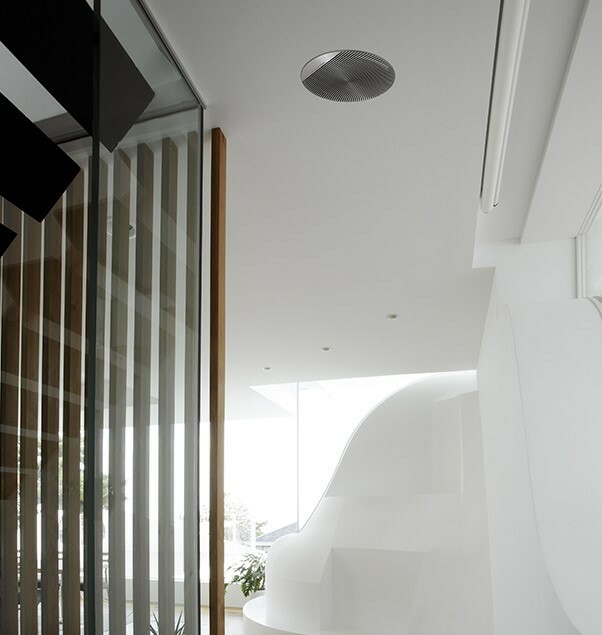 Palatial are passive wall speakers and Celestial ceiling speakers. 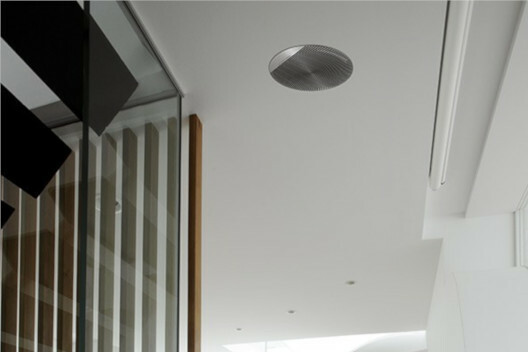 Bang & Olufsen, in collaboration with Origin Acoutics, have developed these powerful speakers, made for active listening. For immersive experiences and invisible home cinemas, these speakers are made to feel the sound, not see it.